Could I Owe Taxes for the Sale of Business Assets? Could I Owe Taxes for Selling Used Business Equipment? If your business has a piece of equipment that it no longer needs, it could make sense to sell it. Not only will you get some extra cash, your business will also no longer have to worry about maintenance and storage for something you aren’t using. But before you go spend the proceeds from the sale of business assets, make sure you don’t have a tax bill on the horizon. There are a couple of situations when the IRS taxes owners selling used business equipment. You’ll owe taxes if you sell equipment for a gain, which is when the buyer gives you more than the market value of your asset. For example, let’s say you have an excavator currently worth $50,000. Another business really wants the specific model and is having trouble finding one, so they offer you $70,000. Your gain on the sale would be the extra $20,000. The IRS would tax your profit from the sale of business assets under capital gains rules. If you owned the equipment for one year or less, they will charge your regular income tax rate on the gain. If you owned the equipment for over a year, you owe the long-term capital gains rate, which will be 0, 15 or 20 percent of your profit depending on your tax bracket. One of the most useful tax deductions for small business owners is the 179 deduction. 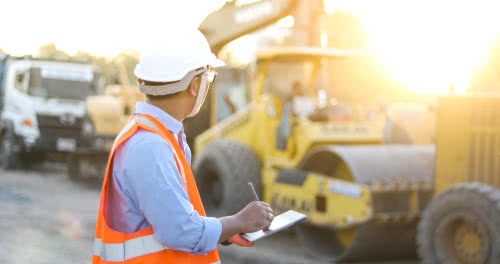 When you claim this deduction, your business can deduct the entire cost of buying equipment in the first year, rather than spreading it out over the life of an asset. For example, let’s say you buy a bulldozer for $100,000, a type of equipment the IRS expects to last five years, according to TurboTax. You can deduct the full $100,000 upfront, rather than dividing it up into $20,000 per year. In exchange, though, you’re supposed to keep using the equipment for this entire time. If you sell that piece of equipment before you get to the end of its expected useful life, you’ll lose some of the 179 depreciation deduction. The sale of business assets isn’t the only way to lose the 179 deduction. Another situation is when you start using a business asset for personal use, like driving a company car at home. If you start using a business asset more than 50 percent of the time for personal use, the IRS will also take back some of your 179 deduction. The amount depends on your split between personal and business use. The more you use the property at home, the more of the deduction you’ll lose. Let’s say you sold that bulldozer after three years for its fair market value of $40,000 ($100,000 new – $20,000 of depreciation x 3 years.) You will lose the deduction for the remaining $40,000 of depreciation because you didn’t use the equipment for the last two years. Since 179 depreciation was an income tax deduction, losing the deduction increases your income taxes. By selling the used equipment, it works out as if you had another $40,000 of taxable income for the year. This one can sneak up on you because even though you’re breaking even on the sale, you still could owe a considerable amount of tax by forfeiting the depreciation deduction. The taxes from the sale of business assets are not always obvious, especially taxes from losing the depreciation deduction. When you sell used business equipment, it’s key to know that you could owe taxes, and this should be a factor in your decision. That way, you can put some money aside after the sale for your higher tax bill in the future, rather than spending all the proceeds and getting into cash flow trouble during tax season. This could also change whether or not the sale actually makes sense. If it’s a close decision, the fact that you would lose 15 percent or more of the proceeds to taxes might mean it’s better for your business to keep the equipment after all. Like with any major financial decision, it helps to speak with your tax adviser before selling your used business equipment. You can see just how much you could owe in taxes, and whether there are any other tax deductions for small business owners you could claim to cancel them out. By using this information, you can make the most tax-effective decision for your used business equipment.